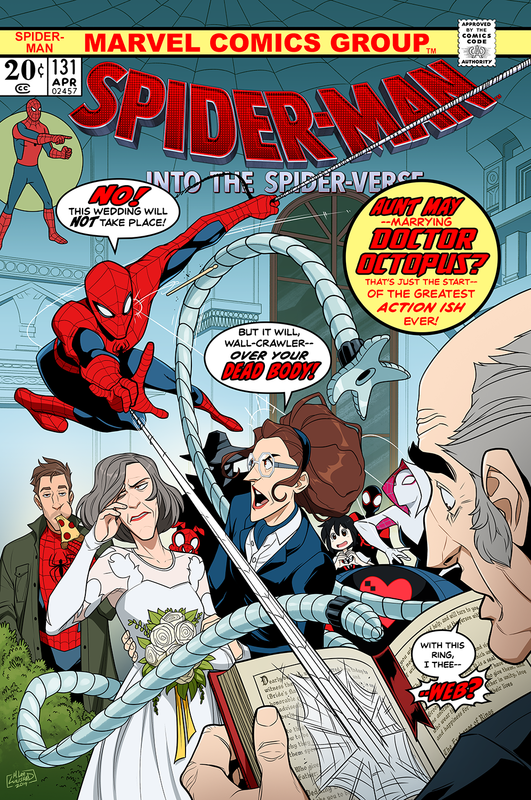 I did a parody of a silver age Spider-man cover, featuring Into the Spider-verse characters instead! Can I just say I like the Spider-Gwen drumstick throw/exasperated Aunt May? "Just let them get married!" 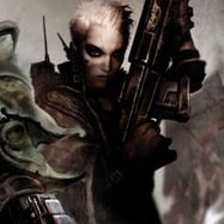 @MikeLLunsford This honestly is just a better cover. 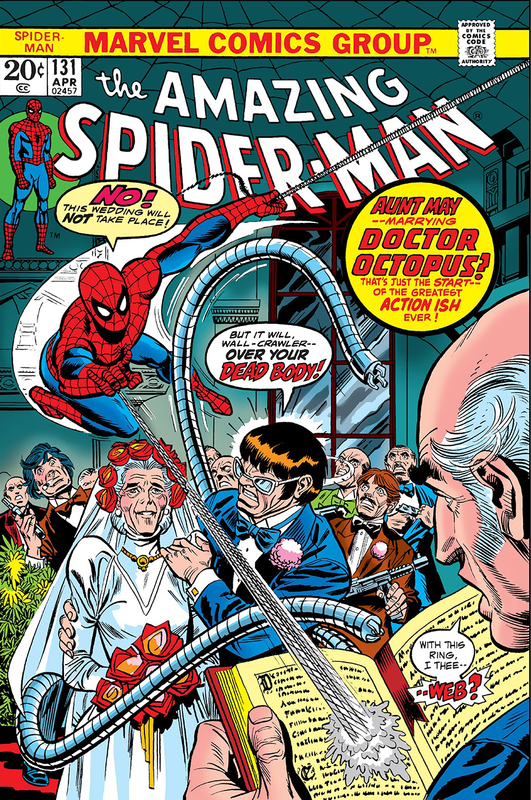 God I hate the bowl-cut Doc Ock.